I love today's shop because it's filled with wonderful colors and creativity as well as lots of smiles! SplendidLittleStars on Etsy is unique in many ways, and one of the greatest is the vibrancy of the color you find as soon as you "walk through the door" so to speak. Filled with pictures of smiling faces wearing vibrantly colored shirts, bubble suits (onesies) and more, this shop is cheerful and bright and has done some really inventive things with tie-dye as well. If you don't believe me, just look at the socks pictured in this post. Those are tie-dyed socks! Amazing right? 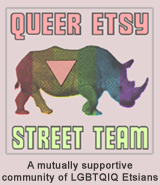 TO VISIT SPLENDIDLITTLESTARS SHOP ON ETSY YOU CAN CLICK THE PICTURE ABOVE OR, IF YOU'D RATHER, CLICK RIGHT HERE! You may also enjoy visiting SplendidLittleStars' blog as well, or their second shop, SparklyPark on Etsy, where they sell sparkling bits of jewelry. 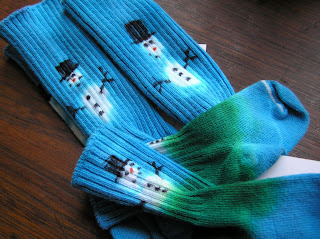 Cute snowman socks. I'll check out the shop.